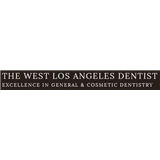 The West Los Angeles Dentist (Los Angeles) - Book Appointment Online! The West Los Angeles Dental Practice opened their doors in 1988 and since then has built a practice that maintains the latest technology for excellent patient care. Always looking to advance our practice, we stay current by continuing education courses and/or communication with educational institutions and researchers. Our doctors are highly trained graduates from UCLA and Georgetown University. Our focus is on putting smiles on our patients. Through our research and studies we determine and utilizes the optimum treatment plans for our patients. Even with restorations of teeth that require crowns, we has discovered that the technology provided by 3M, Lavazirconia, is the best possible treatment. Although faster types of restorations are possible, we prefers sticking with the best. The West Los Angeles Dental Practice has cared for several thousand patients, but each and every One is treated in their own unique way, such that our practice has become more personal.